Lifestyle choices affect your fitness. 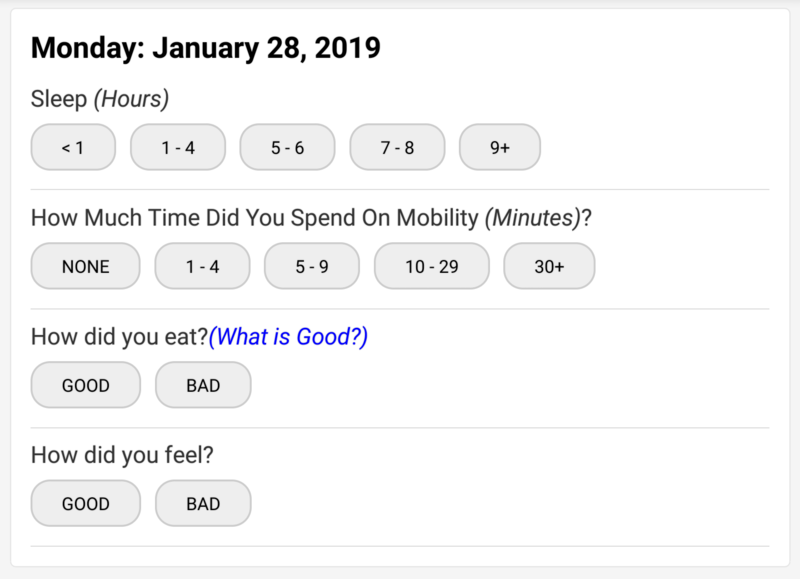 Our Lifestyle questions give you the ability to track your everyday choices that aid your fitness journey. Stay on track with your sleep, mobility, diet, physical feeling, and workout patterns to make sure you're training in ideal conditions. Every day you can answer our Lifestyle Questions regarding your habits from the day before. Keep yourself honest about your choices inside and outside of the gym. 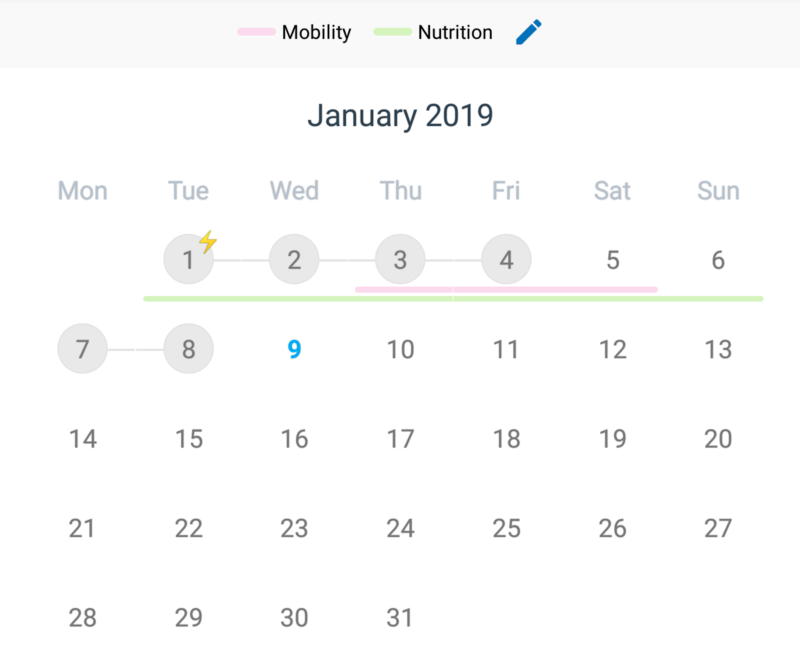 You’ll be able to see trends in the gym based off the decisions you make on a day-to-day basis. For example: Did your Back Squats this week feel extra heavy? Looks like the past 7 days you’ve only given yourself 5 hours of sleep! Compare that with a week you hit a new PR on your Squat. That week looks like 8+ hours each day. You put your body through a ton of work. Give it the proper recovery. Your responses will show up on your calendar along with your Training Days. You can choose to display 2 of the 4 Lifestyle parameters (pictures above). Long bars represent streaks of positive lifestyle choices. The more consistent you are with your healthy habits, the longer your streaks will be.